The Dr. Oppelbaumer Institute of E-learning maintains good taste and exercises strict judgment as to the people we endorse. These judgments are the basis of the Oppelbaumer Code of Conduct and Articulate Universal Policy for the Betterment of E-learning Heroes . 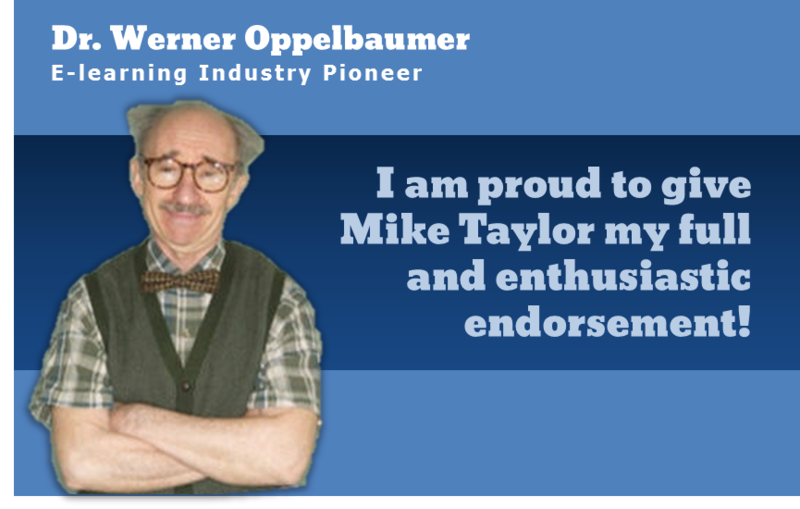 WE PROMISE this about anyone endorsed by the Dr. Oppelbaumer SEAL OF APPROVAL: If any person that bears our Seal proves to be defective at any time, we, The Dr. Oppelbaumer Institute of E-learning, will repair this person at no charge. (Usually with a gentle whack to the head.) This policy covers you for the lifetime of the endorsee except where expressly prohibited by the the laws and statutes of any presiding authorities.